If you are a natural, you should know that hairstyles can be endless. 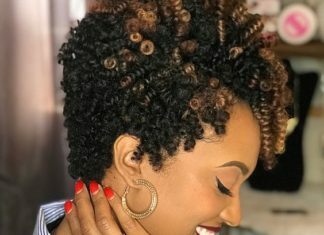 One particular hairstyle is always a great choice – the twist out! 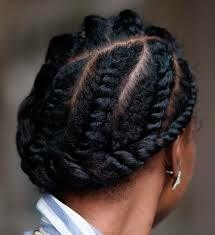 I mean, what’s not to love, it’s a great protective style; low maintenance, perfect for any hair length and type. Plus, if you’re transitioning it’s a great way to blend your different textures together. 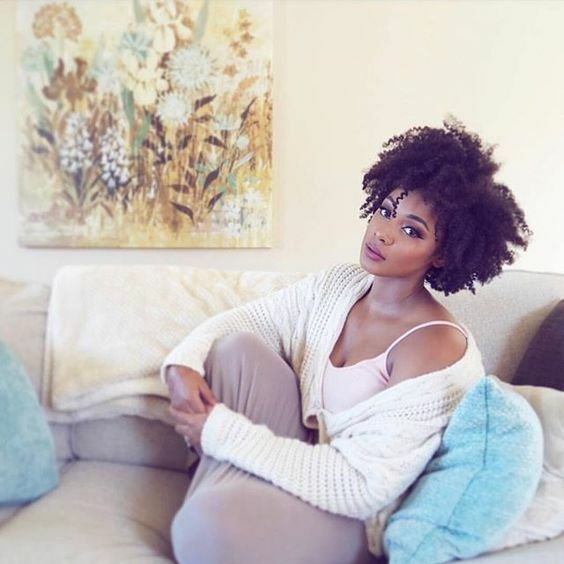 Some problems naturals may face with twist outs would be lack of curl definition or frizz, but with our twist out guide, we can help you achieve the perfect twist out on your natural short hair. 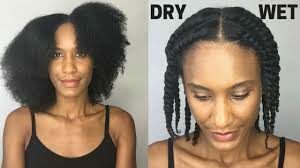 Like most natural hairstyles, you should start with freshly cleansed hair for better results, but that doesn’t mean you can’t perform this on dry hair. You want your hair to be clean without stripping it of all it’s natural oils, so co-washing for this style is best. Making sure you deep condition your hair before stylig for max results, it will give your hair a pleasant shiny, make it soft and help with preservation. Once your hair is cleansed, it’s time for you to moisturize your hair. For this, naturals should adopt the L.O.C method, doing so will lock in any needed moisture, replace any lost nutrients and oils during the cleansing process. Plus, it has been proven time and time again to provide extreme moisture and definition. Now, depending on your hair needs you may need to alter the L.O.C method to fit the needs of your hair better, and if your unsure about what your hair may need to seek a professional natural hair stylist. 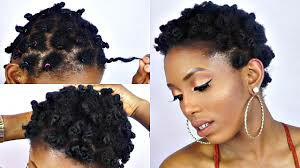 Depending on how you want to style your twist out you will be sectioning off your hair a different way for each. But for now, we will cover the basics. Finger part your hair down the middle; your part doesn’t need to be straight. Place one side of your hair in a small bun that will keep this part of your hair out of the way until we are ready for it. 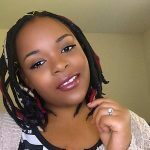 Once your hair is parted the down the middle, it’s time for you to decide which of the four popular twist out methods you would like to achieve. 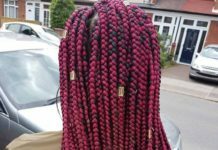 This decision can be based on the length of hair, your hair type and the amount of time and/or experience you have doing your hair. Each style variation will give you different results. his style is created by parting your hair into cornrowed sections. 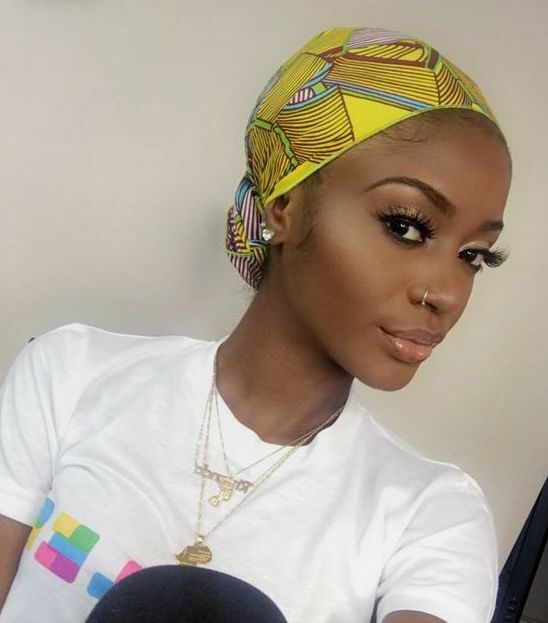 You will take two strands and using the over and under method, twist your hair flat to your head, being sure to grab a small portion of your hair as you twist down. This will give a more defined curl right down to the roots. Consists of parting you’re in square boxes how big or little you may want them. For more defined results it would be best to small section. You will take the section and just twist all the hair in one direction. Once everything it twisted you will continue to twist until the hair starts wrapping around itself, like a knot. Place a rubber band on the “knot” to keep everything in place. 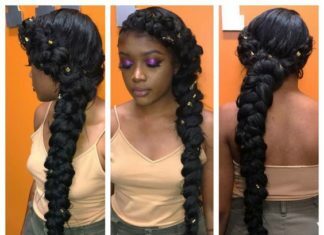 Consists of parting your hair similar to that of a single strand twist. 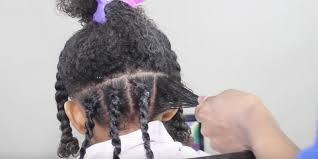 But instead of twisting all the hair at once you will separate the part into two and do the over and under method, and twisting down until you reach the end, being sure to use gel to keep your ends from unraveling. 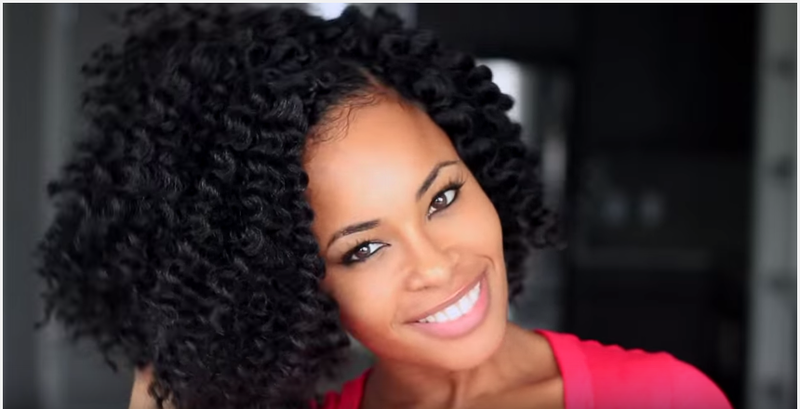 This is the most popular twist out method. 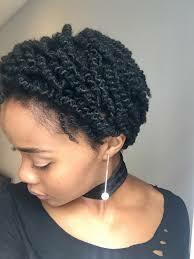 Despite this being the most time consuming one, this one will yield the most definition and is great for naturals with short hair. After applying your product, you will just twirl your finger in your hair or depending on your hair length use a small comb. 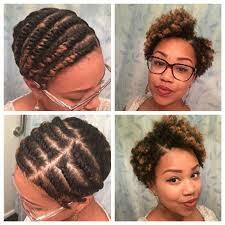 This method is also common for naturals with short hair. Since your L.O.C method is completed, and you have chosen your preferred twist out method its time to place any curling defining products to your hair being sure to comb or brush through to evenly distribute the product. 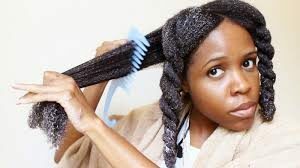 Please keep in mind the more product you use in your hair, the faster you will get build up and the longer your hair will take to dry, it can also affect the longevity of maintaining your twist out. So, keep your products use for this section to a maximum of two, also you will be applying the product on each individual section, so you will not need a lot. About a dime size or smaller, applying a product to each section will ensure definition and the use of proper product use. 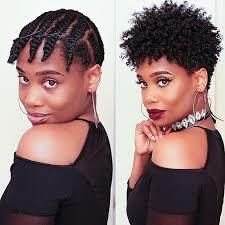 Let say you chose to go with the two-strand twist out, your hair is already sectioning in two. Now it’s time to sub-section everything to prevent any excess hair getting in the way. Apply you curl defining gel or crème and separate the quarter in part into two pieces. Twisting the two strands together using the over and under method. Apply a tiny bit more gel to the ends of your hair to keep it from unraveling. Follow this same process throughout the rest of your head. Now, just because we parted our hair down the middle for an example doesn’t mean you have to use this method each time. 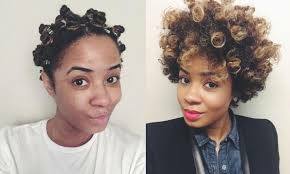 The more familiar you get with doing twist-outs you can part your hair in any way fit necessary for the style you want to achieve. Once done, you can choose to air dry or go under an over-head blow dryer alternating between cool and medium heat, either method you choose be sure to give your hair extra time to set in. Despite you choosing the blow dryer you can still rock your twisted do for a while. 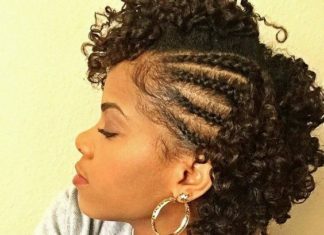 After all, these twist-out styles are always a two in one style. 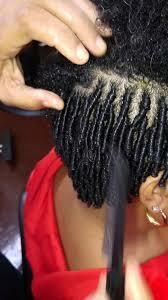 If you chose to do finger coils on your hair, it is best to allow your coils to air dry. 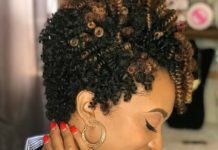 For maintenance, at night you are going to lightly oil the twist and your scalp, if possible give yourself a gentle scalp massage, being sure you don’t mess up your twist in the process. At night, you are going to want to wrap your hair with a silk or satin scarf, avoid reaching for your bonnet it will not be as secure and can slide off your head at night. Instead, opting for silk or satin will aid in keeping your hair moisturized, smooth and fresh looking. If you are worried your scarf may come off at night, invest into a silk or satin pillowcase or sheeting as well. Cotton will only absorb the oils in your hair and cause frizz, and that’s what we are trying to avoid. When your ready to see your results, be sure you have a little time to spare. You don’t want to rush this process. If you decided to take the air-drying method, be sure your hands are completely dry to check and see if your hair is completely dry, if you rocked your twisted style for a few days or if you decide to get under the overhead blow dryer you can skip this step. You will want to place a carrier oil on your fingertips, such as olive oil, coconut oil or jojoba oil. During the winter months avoid using coconut oil, it will harden due to the cold air. Your carrier oil should be able to penetrate your hair shaft easily and give added shine and softness to your hair, without weighing it down. Start from the bottom to the stop and unravel each twist. 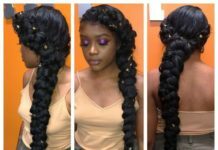 Wait until all of the twists are unraveled before fluffing and separating any strands. Viola! 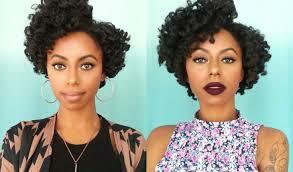 You now have your twist-out, you can choose to rock it like this or style it to your liking. If you parted your hair in a specific manner grab your hair pick and fluff your roots outs for more volume. Being sure not to over pick your hair, over picking or over fluffing your hair will also result in frizz and lose of the curl definition you was originally trying to achieve. Doing a twist-out on wet hair will aid in the definition of your hair, but it will not aide in the volume. 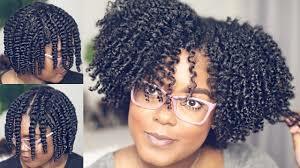 If you are looking for more volume, you will want to perform your twist out on dry, blown-out hair. You will follow all the steps above except after your L.O.C method you will blow dry or air dry your hair, being sure to stretch your hair out in the process. You will then apply your crème or gel to your hair with a little water, perform your desired twist-out method and let dry. You will have more volume in your hair, but not as much definition. 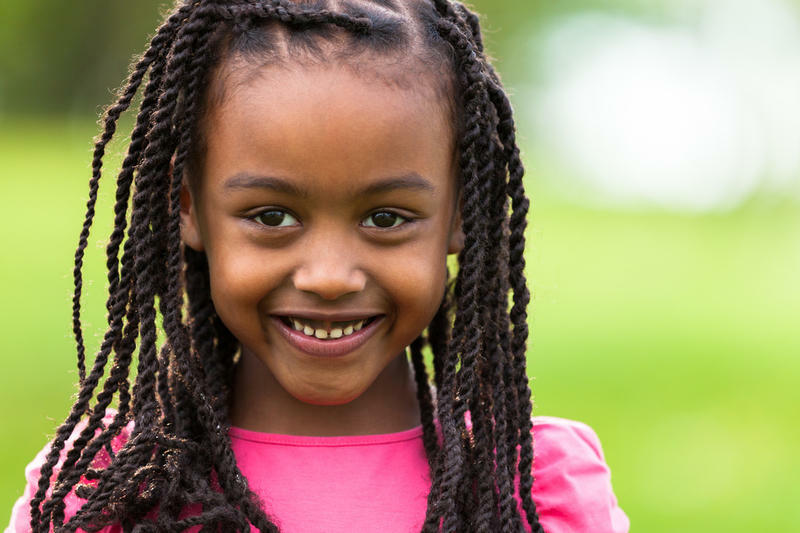 The dry twist-out method should be used for naturals with ear-length hair or longer.